Canada's biggest seafood aquaculture company, says many problems will have to be solved before salmon can be raised commercially on land. 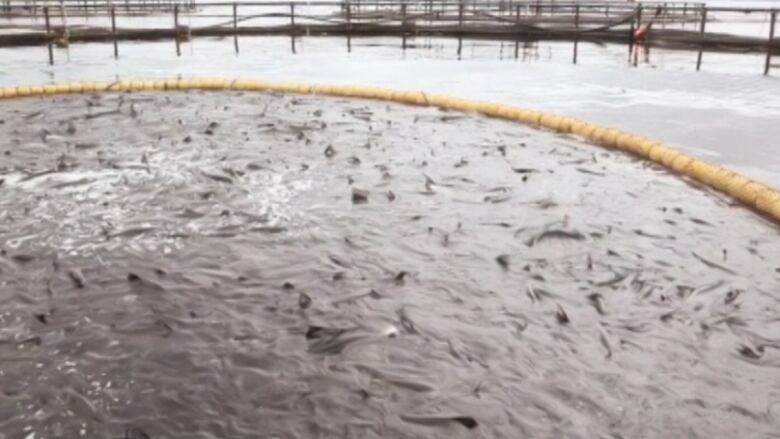 Cooke Aquaculture reacted on Tuesday to claims made this week by some attending a conference at the Atlantic Salmon Federation near St. Andrews. The New Brunswick government said aquaculture sales were worth $192 million in 2012 and the sector created about 1,150 jobs. (CBC)Neil Halse, Cooke's vice-president for communications, said the company has 20 years experience with land-based recirculating aquaculture systems. The Department of Agriculture, Aquaculture and Fisheries said aquaculture sales were worth $192 million in 2012 and the sector created about 1,150 jobs. Salmon represents 96.5 per cent of the province’s aquaculture sales.